Have you wanted to learn to use Excel even more efficiently? 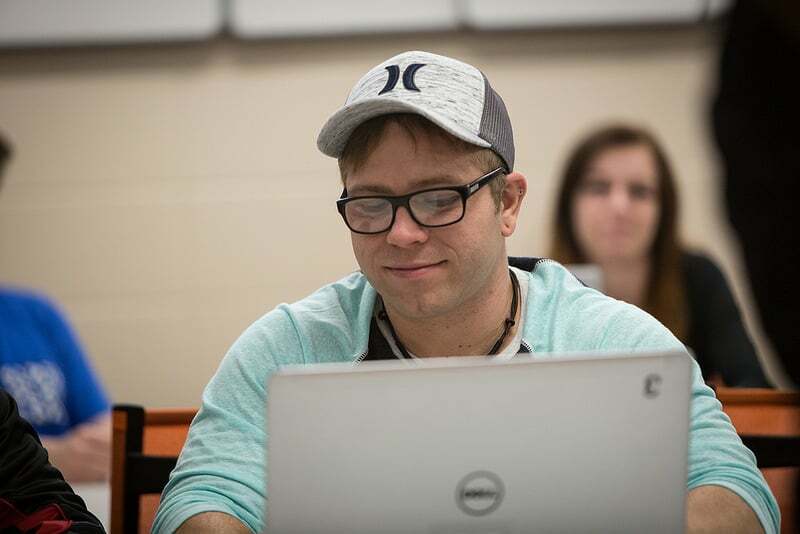 Moraine Park can help–We offer Excel (103-180) and Advanced Excel (103-190) classes in a convenient, hybrid format. Students may work online or in the classroom, with the support of an instructor. Registration for these classes is still open, so register today or contact smurrewolf@morainepark.edu for more information. Simply select the range of data and then press the F11 key on your keyboard. A new chart will instantly appear on a new sheet in your workbook. On your keyboard, press the Shift key and then the F11 key. A new, blank sheet will appear in your workbook. Double-click the sheet tab name to rename the sheet. With a blank cell selected, press the CTRL key and then the ; key to insert the current date. Press the Ctrl key, Shift key and + key to insert a row. Select Entire Row and then OK. When working with large ranges of data, select all the data in a row or column by pressing the Ctrl and Shift key, then press the right, left, up or down arrow. The adjacent data will be selected in the direction your selected. If you would like a practice worksheet with instructions, please e-mail me, Stephanie Murre Wolf, at smurrewolf@morainepark.edu. I am an Office Technology and Business Applications instructor at Moraine Park. We offer two certificates here: the Office Software Suite Certificate and the Advanced Office Software Suite Certificate. Both can be completed in a hybrid, self-paced format. More information on the certifications is available here: Office Software Suite Certificate or Advanced Office Software Suite Certificate.